Are you looking out for some cool new innovative drumming products? Kickstarter is a great place to check these out. 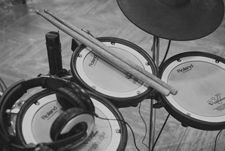 In this article, we’ve listed 6 cool Kickstarter projects related to drumming. Some of these are now past their funding deadlines, but it’s still cool to get a glimpse of the type of drumming innovations that the public are backing. All profits from this product are to be donated to music charities around the world. Very inspiring! Having a metronome by your side during your studio rehearsals and live gigs will dramatically improve your drumming performance. Being able to follow the tempo without any glitches is the number one job for a drummer. This is often ignored by beginners. 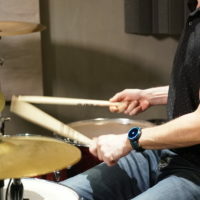 You need to form a solid foundation of timing and technique as a drummer. 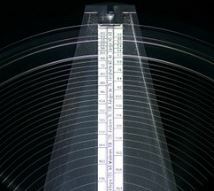 Although there are many metronomes available on the market, the Backbeater is a lot more innovative. This is where Backbeater comes on stage. It is a combination hardware, with an accompanied mobile app, that can be easily used by all generations of drummers. Before you download the Backbeater metronome app, you should get their special kit. It contains a Nootle mobile mount that needs to be attached to the hi-hat stand, as well as the Wiretap audio splitter so that you can use headphones while playing the drums. Finally and most importantly, you also get the Backbeater sensor, which monitors the tempo and sends the data to the mobile phone and the app. As for the app, the middle part of the interface displays the number of beats per minute (BPM). Then there’s the circle around the BPM display, in which a dot shows your stroke accuracy in real time. There’s also an option to launch your pre-recorded setlist and play the songs from that list, as well as use the arrows on the screen to switch between the songs. Wherever there’s a sound, there’s also the potential to create music. Oddball is a product that speaks best in favor of this statement. It’s literally a bouncing ball that creates beats as it touches the ground or any other surface. This drum machine comes in two parts: the sound-producing ball and the mobile app. The outer part of the ball is made of rubber. The central part contains the sensor, which is the heart of the entire product. As you bounce the ball, the contact-sensitive sensor produces the beats. 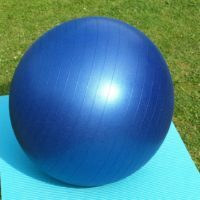 The harder you bounce the ball, the heavier the sound and vice versa: the lighter you bounce, the subtler beat you get. These beats are then sent to the mobile phone and emitted through the headphones or the mobile speaker. Logically, you can also connect your mobile to a Bluetooth speaker, or any other, non-integrated speakers. Oddball is a great choice for different generations. 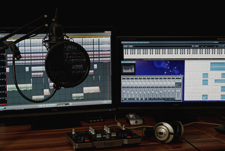 If you’re a professional drummer or a music producer, you can use it to produce and record more creative sounds. Amateur music enthusiasts can experiment with this beat-generating device to discover their music affinities. Finally, it’s a nice gift for little children, both as a toy and as a ticket to the world of percussions. It’s also available in different colors, which adds to its overall design impression. The Cajon is one of the most popular all-in-one drums. It can either be an acoustic or an electronic Cajon and it’s most often played along the guitar. Unlike the typical Cajons you can find on the market, the LIVE Series Cajon introduces some add-ons that make the entire playing experience smoother and more exciting. One of the most important advancements brought by this Cajon is the 5-tier snare lock. This special feature enables Cajon players to change the sound during live sessions as they’re playing it. 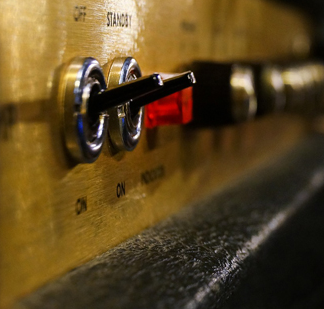 The five-tier handle is here to help you choose from five different sounds. As for the sound itself, the LIVE Series Cajon is made to produce deep, warm bass sounds. This feature is possible thanks to the bass pedal system. Simply put, there’s a pedal at the back of this Cajon, which triggers the bass beater inside the drum. By pressing the pedal with your heel, you produce the sound of a bass drum. Logically, the snare sound is produced by hitting the front of this Cajon, but this Cajon goes the extra mile in producing a high-resonating, jangling sound. In case you want to play a gig without changing the sound of the Cajon, the handle and the pedal can easily be removed. Finally, the aluminum framing makes the LIVE Series Cajon one of the most durable and lightest cajons on the market. Drummers are among the most innovative musicians. They often create a sound or a beat pattern that sounds different from anything else. Such creativity often leads to conceiving new products and drumming accessories. The Switch Kick Bass Drum Beater is one of such devices. Conceived by drummer Kevin Smith and manufactured by Drum Concepts Studio, this set is meant to help drummers change the sound of the drum bass as they’re playing it. Thanks to this bass drum set, you can adjust the settings without interrupting the playing flow. In order to get the preferred sound, you can turn the head of the beater on the plastic or felt side. What you can also do is replace this beater with the bomber beater or the brush beater, depending on the desired sound you want to produce on your bass drum. The latest innovation coming from this bass drum manufacture is the sonic beater. This drumming addition has a hollow body, which ensures a more resonate sound of the bass drum. The metal axis in the middle of these beaters is made of stainless steel. This material is a guarantee of endurance and top-notch sound. Closely related to the Cajon, the electric drum is a substitution for a Cajon. This innovation is a small, nicely shaped board that’s attached to the guitar body, usually above the hole. When you’re playing the guitar, you can hit the guitar-drum with the palm of your hand, to produce the sound of the Cajon. The board, i.e. the drum is easily attached to the guitar. The kit comes with mounting tape, which is used to stick the drum to the guitar without causing any damage to the instrument. You can choose from several types of wood for the drum, such as mango, koa, or poplar. One of the greatest benefits of this guitar add-on is the fact that you don’t have to carry both your guitar and Cajon to your gigs. The guitar-drum will serve your Cajon needs well, and what’s more, it won’t take much space in your car. A mobile software app, Drumfigurator is supposed to help drummers improve their practice sessions and configure their drum sets. Some of the features that the final product will contain are creating, saving and sharing your own setup for a drum set or percussion kit. The app in its current state enables its users to set up a drum kit, as well to adjust some details, and share these settings and design with other users of the app. When and if Drumfigurator becomes a fully completed drumming app, its users will also be able to add images to their drum designs. 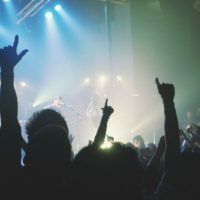 Kickstarter remains one of the most popular places for musical innovators to place their products and ask for public support. There will certainly be more interesting projects on this website in the time ahead. Every music enthusiast should follow such news and expand their artistic horizons. What’s more, if you have any similar ideas for innovative musical solutions, feel free to start a campaign on Kickstarter and see how people perceive your ideas. 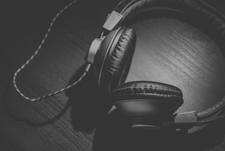 The projects we’ve presented in this article can serve as an inspiration for new musical innovators to share their visions with the online audience. Cardio Drumming – Get Fit While Playing Drums!